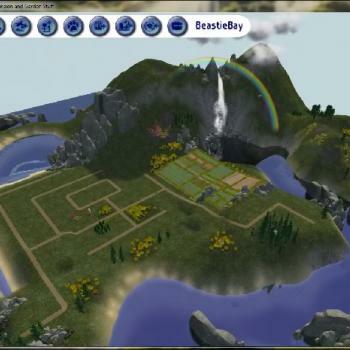 First thing that you need to do is to place the BeastieBay.sc4 file and the BeastieBay.png file into My Documents\EA Games\The Sims 2\SC4Terrains. 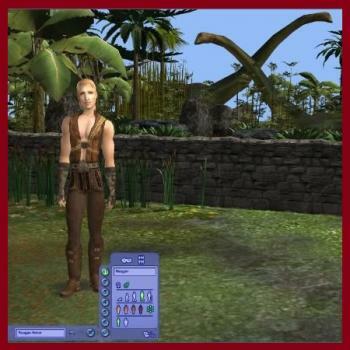 You will need Sunni's Dirt and Grass Replacement roads and Numenor's Maxis "Lost & Found" #9: Waterfall & River (neighborhood effect) they have to go in your download folder before you place the N165 in your Documents/EA Games/The Sims 2/Neighborhoods folder (I have included these files in the download). If you already have a N165 'hood you will have to rename it then open your game. Warning it is a bit long. Please note: If you have a Neighborhood N165 already in your Neighborhoods folder you will need to rename the new one to something that you don't have. 4) Close the windows and start The Sims 2. This is an EA neighbourhood, Neighbourhood N004, that I decided to decorate and upload because I built a house on a beachlot here and it wasn't possible to place that beachlot anywhere else. I hope you will have fun with it and with the house that will be uploaded in another thread. Please note: If you already have a Neighborhood N004 in your Neighborhoods folder, you can not just rename this to something that you don't have. You have to delete or move the one you have, to another location on your hard drive, and then paste this one to your folder. Unless you want to go through and rename each and every file. 2) Close the windows and start The Sims 2. I bring decorations for the neighborhood! The first three images are viewed from the neighborhood, the last two images are viewed from a lot. All objects can be placed on the road, in a lot, on the land or in the water. You will need Windkeeper's CAS mods from here. Thanks to God for passing along the passion for creating to His children! Special thanks to Shell and Levini for the invaluable testing of the CAS and their advice. To MaAlet for the use of her cool mural and to Rebecah and TNW for their efforts with "dino". They are "True Blue" friends. CC is included in the zip file with the CAS! be sure to place all files in your Download Folder. Jurrasim Park! It's a Brontosaurus Sculpture! After thinking over about what might not be created already for the sims, i suddenly got the idea to do a neighborhood building! 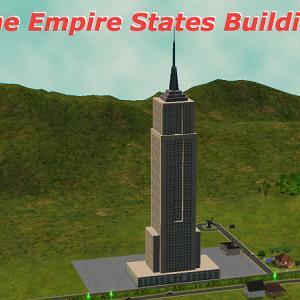 And so i present to you the most famous building of this planet, "The Empire States Building". This is a building just like the 3 neighborhood skyscrapers that came with maxis, only somewhat bigger! It took me alot of work to get the textures right, but i think it was well worth the effort. This is best viewed from within a lot close to the building because of it's size! However if you have a camera hack that can zoom further out then maxis default camera then you can view it also in full from within the neighborhood. 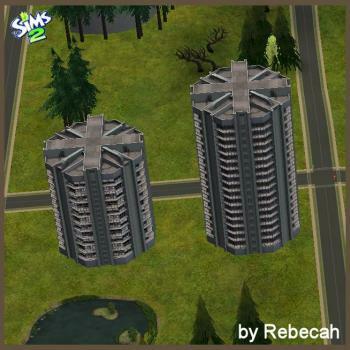 This building does not replace any maxis buildings, so the other 3 are also still available. You find it in Neighborhood decorations/misc. You only need the nightlife expansion for it to show up. Just like any object open the rar-file and place the package file in your downloads folder! Have fun with this new object! This is a neighborhood object. So it means you must place it from the neighborhood inside the water. 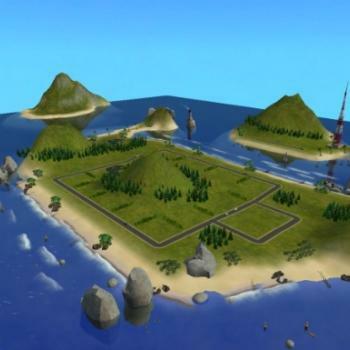 This reef can also be placed on the land btw. There is a very slight problem with placing them in the beach areas. Once you placed them there they aren't visible from within the neighborhood view on beaches. However you can move over the water with the hand tool and look when the hand cursor changes, this way you van grab them and delete them again. I will still keep on looking into a way to make coral reefs that is fully visible from within the neighborhood. Don't worry it isn't hard to grab them and delete them, only a bit searching in the dark. You find them in the neighborhood objects under Misc. The mini screen looks a bit like it's a garbage pile but they do look good on bigger size. You will need Bon Voyage for it to show up. When you want to place them, i suggest to place it first on the land and rotate it from there. That will make it more simpler to determine how they will appear in the water. These will also fit over each other! So you can make very large refs with them. Once placed you can enjoy their view when you visit the lot. Have fun and happy Coral diving. First of this is a tribute to the Victims and the Heroes of September 11, 2001. 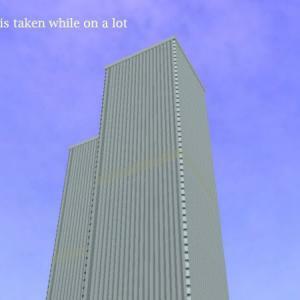 I created both of the twin towers as neighborhood objects, so you can view them from either inside a nearby lot or from the neighborhood view, but you cannot visit them. These towers where requested by Spider9271. These are buildings just like the 3 neighborhood skyscrapers that came with Maxis nightlife expansion, only somewhat bigger! However if you have a camera hack that can zoom further out than the Maxis default camera then you can view it also in full from within the neighborhood. 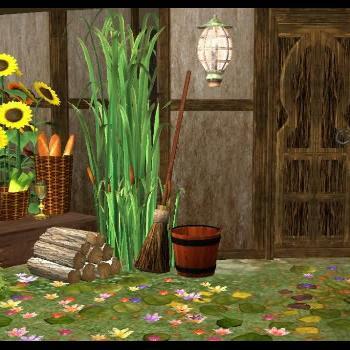 You find it in Neighborhood view under decorations/misc. You will need the nightlife expansion for them to show up. Depending on your graphics card from some angles the look of them can be a little weird in the neighborhood view. A good fix is, in graphics options set the smooth edges towards more instead of less, so slide it all the way down (see pic below), that way in the neighborhood view they do look great. Once you are on a lot this isn't needed anymore, so you can then slide it again towards less they look great from a lot in all different settings. When this option isn't available (grayed out) that means your graphics card doesn't allow smoothening of edges. Enjoy the towers in your neighborhoods!